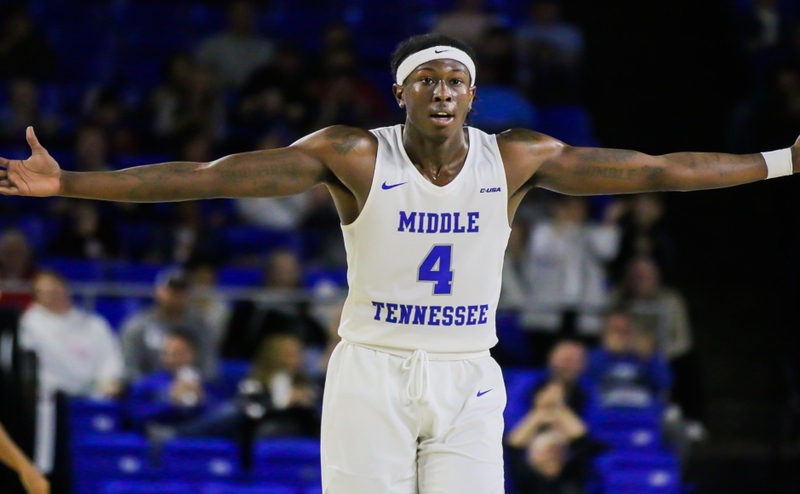 The first-place Middle Tennessee Blue Raiders (18-5,10-1) traveled to take on the Charlotte 49ers (5-16,1-9) in Charlotte, North Carolina, on Saturday night. 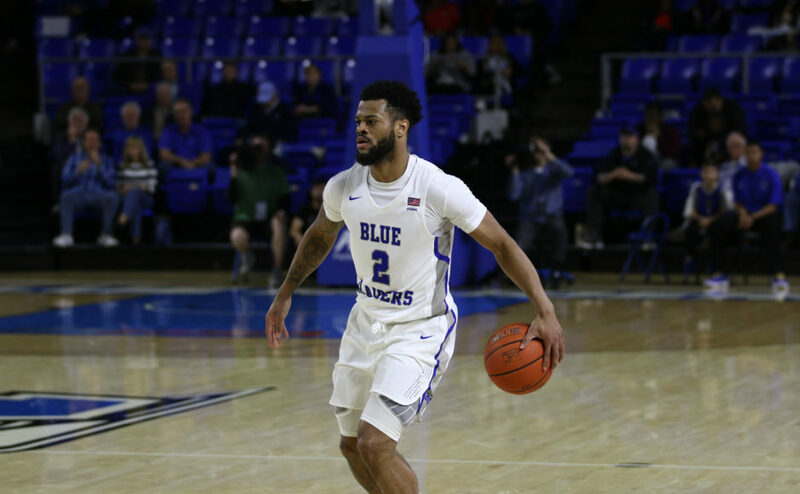 It was a back-and-forth game early, but the Blue Raiders were able to hold off the 49ers by a final score of 78-73. The 49ers jumped out to a 14-11 lead early, capitalizing on three turnovers and poor shooting by Middle Tennessee. After a poor first 10 minutes, junior Antwain Johnson knocked down a three to knot the game up at 14 and begin his career night. 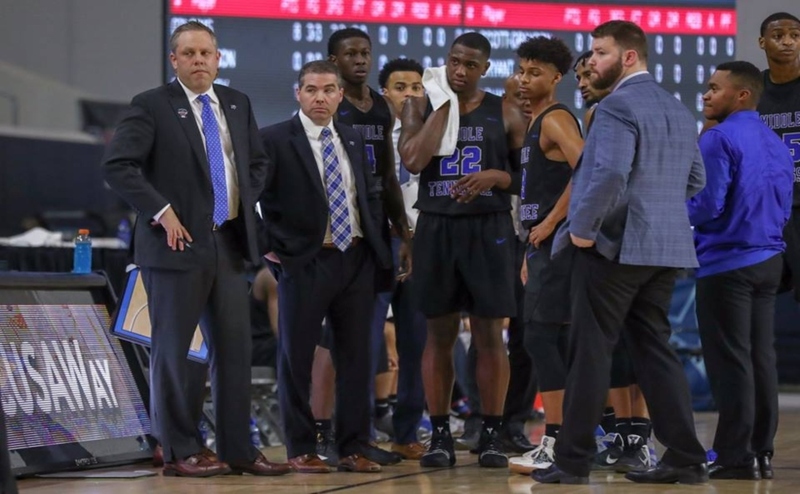 After the teams traded empty possessions, senior Nick King knocked down a three to give the Blue Raiders a three-point lead. The 49ers didn’t back down, however, and they cut the lead down to one with just over seven minutes remaining in the first half. MTSU started to get the offense in motion from there. The Blue Raiders capitalized on 11 Charlotte turnovers to give themselves a 39-28 advantage with 2:07 left in the first half. The two squads traded threes to end the half, and the Blue Raiders took a 42-30 lead into the half. Johnson led both teams after the opening stanza, as he scored 14 points. Middle Tennessee also dominated the boards with a 17-7 advantage in rebounding. This included a 7-1 lead in offensive rebounds. After Charlotte cut the lead to seven early in the second half, King scored back-to-back buckets to give MTSU a 50-39 lead with 16:43 remaining. Despite being up for the majority of the game, Middle Tennessee had no answer for 49ers guard John Davis. He scored 14 of his 20 points in the second frame and had Charlotte within three points of tying the game with just over a minute and a half remaining. In need of a big shot, sophomore Tyrik Dixon rose up and knocked down a huge three-pointer to put MTSU back up by six. Moments later, 49ers forward Najee Garvin scored an old-fashioned, three-point play to trim the lead back to three. The 49ers had a chance to tie the game after King missed a jumper with 22 seconds remaining, but Davis missed a three, and Charlotte was forced to foul with six seconds left. King made both free throws and finished the game with 24 to put the game out of reach. When the buzzer sounded, MT recorded their 10th road win of the year by a final score of 78-73. With Western Kentucky’s loss to UTSA, the Blue Raiders are now in sole possession of first place in the conference. Johnson continued to his high level of play once again, as he shot 10-15 from the field and 3-5 from behind the arc to give him a career-high of 23. This is on the heels of his big week against UTSA and UTEP last week, and he appears to finally be finding his groove in the offense on a consistent basis. This performance is also arguably his best since the team’s game against Butler in last season’s NCAA Tournament, when he put up 19 points and led the team’s final effort to make a comeback against the Bulldogs. 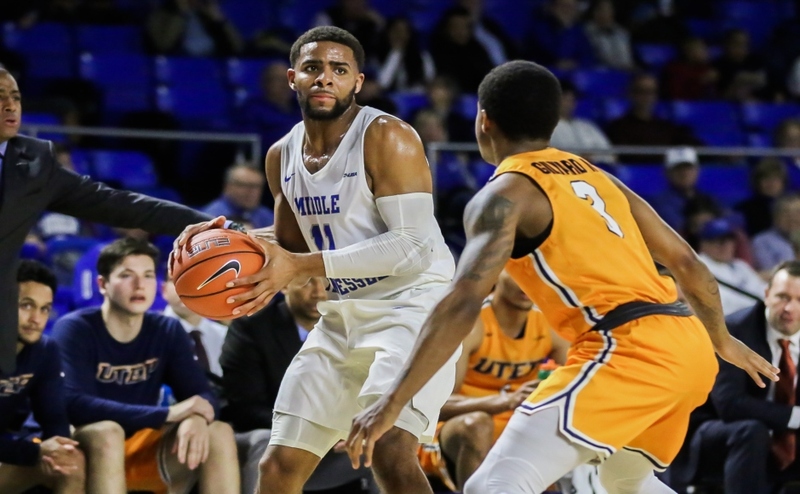 MTSU will need Johnson to continue to play at this level as March approaches. If there was a rebound to be had, MT secured it. The Blue Raiders out-rebounded Charlotte 37-21, including 13 total offensive boards. Individually, King grabbed 12 boards, while Karl Gamble came off the bench to record six. The Blue Raiders also limited second-chance opportunities for the 49ers, as they only grabbed three offensive boards. When MTSU is able to limit teams like this, it gives them a better chance to get the offense in sync with more possessions. If they continue like this in the rebound column, they will have a much better opportunity to make it deeper into March. 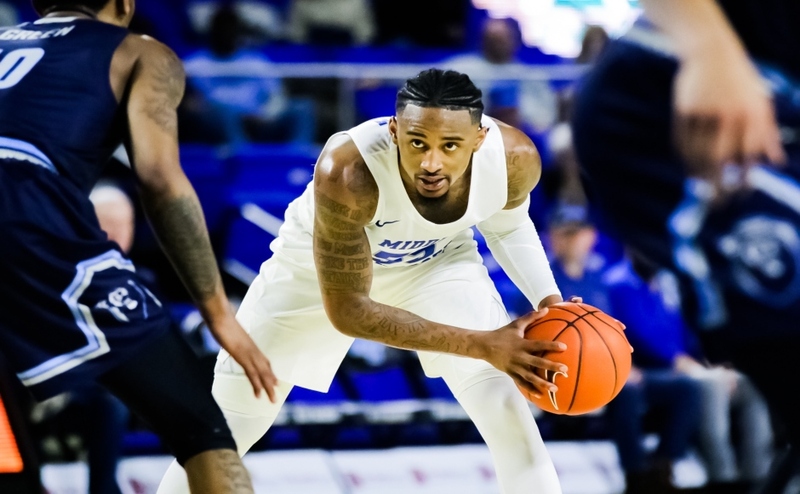 The Blue Raiders return to Murphy Center on Thursday at 6:30 p.m. to take on the Rice Owls.